South Africa, 1901. It is the height of the second Boer War. Sarah van der Watt and her six-year-old son Fred are forced from their home on Mulberry Farm. As the polite invaders welcome them to Bloemfontein Concentration Camp they promise Sarah and Fred that they will be safe there. 2014. Sixteen-year-old Willem is an outsider. Hoping he will become the man she wants him to be, his Ma and her boyfriend force Willem to attend the New Dawn Safari Training Camp where they are proud to make men out of boys. They promise that he will be safe there. 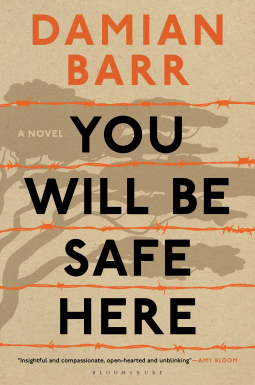 You Will Be Safe Here is a powerful and urgent novel of two connected South African stories. Inspired by real events, it uncovers a hidden colonial history, reveals a dark contemporary secret, and explores the legacy of violence and our will to survive.